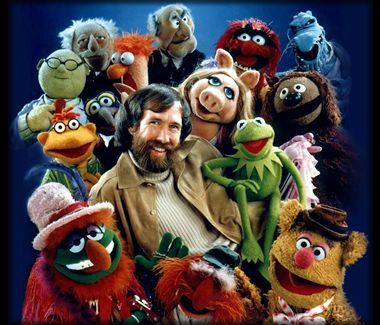 Just peruse the portfolios of these two guys and you think to yourself, “where in the world did they think that up?” Jim Henson took the world of puppetry and created its own genre – muppetry. Kermit, Piggy, Ernie, and Animal are now icons of culture. Jim thought outside the box and imagined a world where puppets could ride real bicycles, perform synchronized swimming, and inspire the world to not worry about being green. Guy Laliberte founded the “art nouveau” circus that has taken the world by storm. In a world previously dominated by carnivals and Ringling Brothers, Guy thought of a circus that was just different. When he reviews acts “under construction” for his shows, he wants to see something that makes him say, ‘wow.’ If he has seen it before in the traditional circus, then it doesn’t make him say, ‘wow.’ Cirque is a circus with a dramatic story – not isolated acts of lion taming and unicyclists. The muppets and Cirque are outside the box, which is how I would like to learn how to think in regards to ministry to children. There is more to children’s ministry than juggling. I want children and parents to have an encounter with the living God – by somehow experiencing the fun, the gladness, the pleasure of God. Things like juggling make that connection between kids and God.